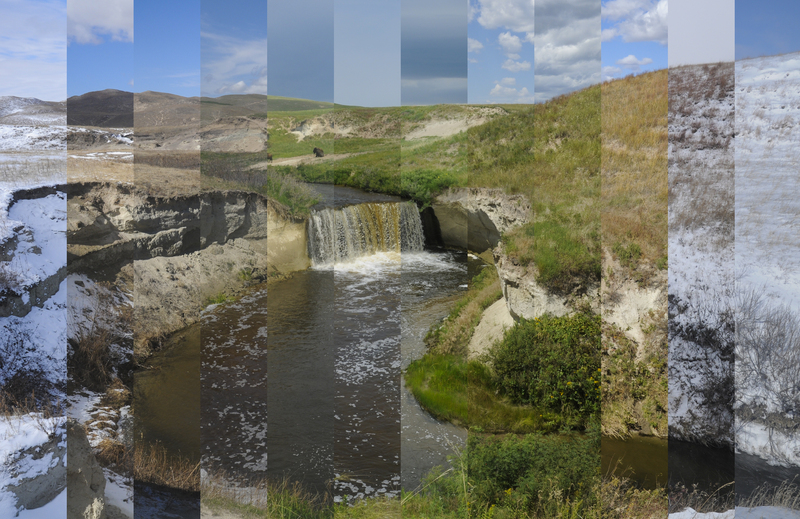 A timelapse compliation image of the North Loup River from the Platte Basin Timelapse project. "We're delighted to have Platte Basin Timelapse join us because the center has made sustaining the region’s ecosystem a top priority," said Richard Edwards, center director. "The timelapse project is one of the most innovative ways to understand that ecosystem." The Platte Basin Timelapse project has been funded and in motion since early 2011. Currently, the project has more than 50 time-lapse camera systems placed throughout the 90,000 square-mile Platte Basin, from its headwaters along the Continental Divide in the Colorado Rockies to the river's confluence with the Missouri River on Nebraska's eastern border. "We're really enthusiastic about becoming a part of the university's Center for Great Plains Studies," Farrell said. "The broad geographic reach and interdisciplinary, intercampus scope of the center coincides with our basin-wide work to bring together an arts, sciences and humanities approach to answering our project's fundamental question, 'Do you know where your water comes from?'" The Platte Basin Timelapse team creates innovative multimedia content to tell the myriad stories of the Platte: web-based journalism, STEM-based educational curriculum for middle and high school science students and a forthcoming documentary film for public television. For more information, click here.